Searching for the perfect place to spend your retirement years? Harrison, Arkansas offers so many prospects for seniors to enjoy a myriad of activities, volunteer opportunities, a moderate cost of living, a low crime rate, scenic beauty and abundant natural resources, and a climate that enjoys all four seasons. Harrison, named as “one of the best small towns in America” by Norm Crampton, is one of the fastest growing areas in the country for retirees. With a population of just under 13,000, Harrison offers the small town feel that is a draw to many who grew up during a simpler time. 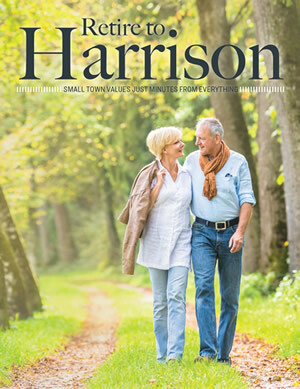 Request our Retire to Harrison guide to learn more!